Oculus is heading into its third week of ‘Rift Gold Rush’, a prize-winning extravaganza marking the two-year anniversary of Rift’s launch. To get a chance to win this weekend, just pop into a public match in Echo Arena (2017) during the specific entrance window. For a chance to win a prize, download Echo Arena and play a public match on Saturday, April 14th between 1PM and 2PM PT (local ending time here). There’s no need to win a match, just compete in a single match during that time and you’re entered to win a host of prizes. 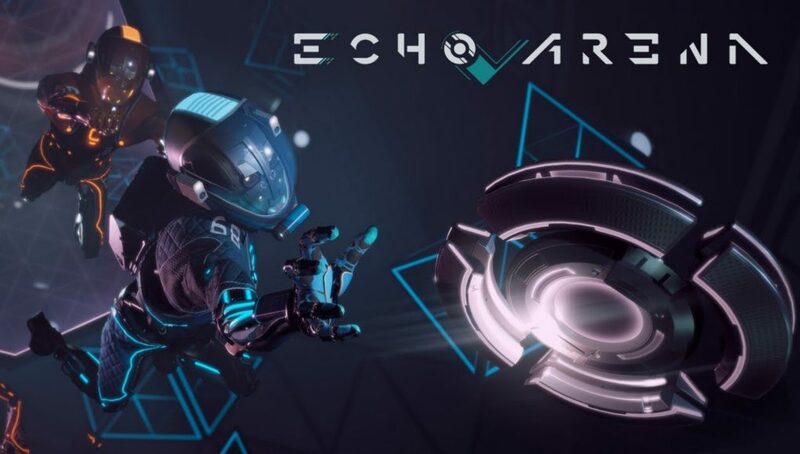 Echo Arena is the multiplayer spin-off of the award-winning VR adventure Lone Echo (2017), which took home our 2017 Rift Game of the Year for not only its engaging story and polished visuals, but also its novel locomotion style that lets you use in-game objects and architecture to propel yourself into space. Echo Arena shares all this, but it definitely injects adrenaline into Lone Echo by ramping up the speed. Not to mention, it’s completely free on Oculus Home. Echo Arena provides 5v5 private matches in a high-flying, zero-G environment that tasks you with getting the disc into your opponent’s goal. Using the game’s extremely comfortable locomotion scheme, which lets you fly at high speeds with minimal risk of nausea, you’ll glide, boost and punch your way to victory—just make sure to clear the area first, because it can get intense. wow i really wish i could participate on my vive or wmr…. I don’t see anything that would prevent you from doing this through Revive. As far as the Oculus software is concerned, it should see that your Oculus account had someone play the game within that time frame. thats good to know but it annoys me how many free weekends and event that oculus exclusively gets. free events and weekends are not going to get anyone to buy a rift, and to others it just seems gimmicky and cheap to have special events but only on one system. Its the same argument for released games on select systems. We shouldn’t have to rely on revive to play perfectly capable games. Its 100% caused by laziness and greed. 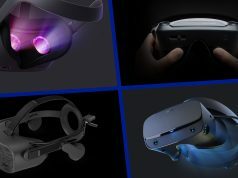 Specifically facebook giving developers like Ready At Dawn extra cash if they do these special deals with the oculus and its kinda BS. Obviously I have no control of where fb uses its money and no control over developing studios from accepting that money and offer, but to everyone else its just a slap in the face. I understand your frustration, I chose to go with the Vive (more specifically the Valve lighthouse tracking ecosystem). Oculus (Facebook) is taking a “walled garden” approach to VR, hoping to lock people into the Oculus store and their Oculus software. 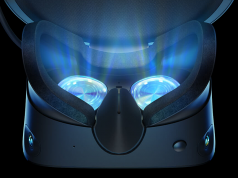 That way, abandoning the Rift in favor of a competing VR headset won’t be an easy decision. It’s the same approach taken by Sony with the Playstation, Microsoft with the XBox, Apple, etc, etc. It’s definitely anti-consumer but it is also supporting devs who are having trouble profiting from VR titles. I’m just glad that Revive exists because, otherwise, I wouldn’t be able to enjoy my favorite game – Lone Echo. I didn’t know that Playstation, Xbox, iPhone, and iPad had access to Steam. Cool! There’s no need to get sarcastic. Yes, their walled garden has a hole in it where Oculus users are able to access Steam, but that hole only operates in one direction. Oculus won’t allow Vive and Windows MR users to enter through that hole to use the items in their walled garden; however, they have decided to turn a blind eye to the hole that someone dug in the back corner behind a bush (Revive). At any point, at their sole perogative, they can fill that hole in with cement. I noticed you didn’t mention Macs in Apple’s lineup. That’s probably because they do allow access to Steam. Also, you sound like an Oculus fan. If you own a Rift, you shouldn’t be excited about their behavior. What happens if Oculus begins to trail relative to competitors and you want to switch platforms? By switching platforms, you are going to lose that priveleged access that you are defending here. You won’t have easy access to all of those games you bought in the Oculus store. Valve didn’t make SteamVR exclusive to only those people who used an HMD compatible with the Valve lighthouse tracking ecosystem. They could have. You take that for granted. Facebook is a software company. They make money from software, not hardware. They should open their Oculus platform to everyone. Fine, give discounts to anyone that already owns a Rift. 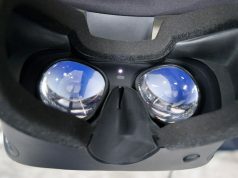 For the rest of us, let us pay full price but have native compatibility with our non-Rift HMD. Omg… Some people just don’t get it.. And it’s always the SAME TWO PEOPLE! J.C. & JJ. Let me put it to you this way… If you paid good money for a Lamborghini or any car at that? Should it be mandatory YOU pick up people walking on the street or taking public transportation? Stop whoring perfectly good clean threads with the same old BS over and over and over and over ( are you sick of it yet?) I am!!!! So I’ll stop! uh how does letting someone ride your lambo relate to exclusivity from developers? A better analogy would be that this event is like a race to the top of the mountain but only labo’s are allowed to be in the race. Other drivers of other cars know they can win the race but aren’t allowed to unless they buy a lambo just to be in the race…. So back to your analogy.. If the race is paid for and hosted by Lamborghini what makes you think you have a right to bring whatever car you own to race? You might think all this paying money for exclusive is a bad thing but what you have to understand is ( in most cases) that money gets used by the developers to hire extra artists or pay for better artists from sound too modelers, animaters, programmers and so much more just to make the game awesome like Lone Echo… Your not going to get that level of quality with the one-man team starting from scratch paying himself for a years work. So… If you spend your hard earned money on something whether you’re a single person or an entire company I believe you should have the right to do whatever you want with it? I’m pretty sure the rules read that you need to own a Rift to be able to win. You’re absolutely right. I checked the terms and conditions for their last gold rush event and it specifically states that you must own or have access to a Rift device. Oh well. This is simply and amazing VR game with a really strong and vibrant community. I know of nothing like it elsewhere in VR, og even old games. Highly recommended.